There are many areas of our Health and Well-being that we can focus on; exercising to gain strength; working on a good posture; eating a well balanced diet, for health generally and to maintain a healthy weight. If we have a physical problem causing pain, or embarrassment, we will seek help. At Holcombe Health Clinic, where I hire a room, there is such a wonderful variety of expertise available. All of the above also have an affect on your Mental Well-being- we know how amazing exercise is for making you feel better in yourself, or how much better you feel when irradiating physical pain, or seeing and feeling the benefits eating more healthily. 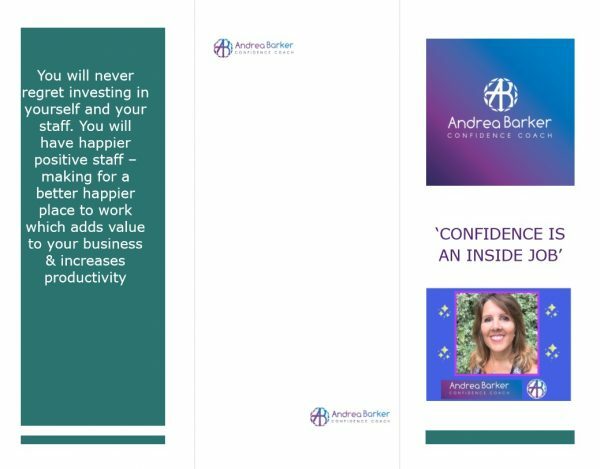 I work on the area of Mental Well-being, your Mental Health, in many different ways, helping you to understand how your mind works, how to manage Stress and Anxiety and develop and grow your Confidence and Self-esteem. Our Mental Well-being is so important to how we function on a day to day basis, how productive we are, and it affects whether we try new things, reach our potential, go for a new job / promotion, how we perform in exams and it affects our relationships – whether with family, friends, work colleagues, and our personal relationships, and most importantly the relationship we have with ourselves. Many of us will have had times we have felt stressed, and will understand how it affects our ability to make decisions, increasing the risk of making mistakes, it affects our sleep and causes muscle tension and headaches etc… generally stress is temporary, and when the cause of the stress is resolved- we take a sigh of relief. If stress is prolonged it can cause many other health concerns, so learning to manage stress is important. Anxiety is something different, but stress can cause anxiety and vice-versa. Anxiety is generally fear of what may happen in the future – anxiety and fear causes our body to release adrenaline so we are ready to Fight Fright (freeze) Flight (run – or avoid altogether) This is a natural process and is especially useful to us when we are under genuine threat, by keeping us safe or to help us survive. When someone is a ‘sufferer of Anxiety’- then you are in an almost permanent state of Fight Fright Flight to a threat that is mostly not real, our imagination is a powerful thing, however, this usually happens for very good reason. This prolonged state can understandably cause exhaustion and like stress, affect sleep too. The good news is, that once you understand Stress and Anxiety you can manage it and feel human and normal, for you, again. Mindfulness is a great way to start- as bringing yourself into the present moment and being present with yourself has a calming effect- just focusing on your breath or taking 3 slow meaningful breaths can help. Just taking time out in nature – even 10 minutes is very beneficial, there are studies around how amazing being outside is for us and our mental well-being, especially being around trees or in lovely open expanses. Another great tool is music, as it has a powerful affect on our mood, and can change our mood in an instant, so having calming or uplifting upbeat music can really help you feel better. Animals also can have a very calming effect, get you out, or make you laugh. Laughter is also incredibly at shifting mood. 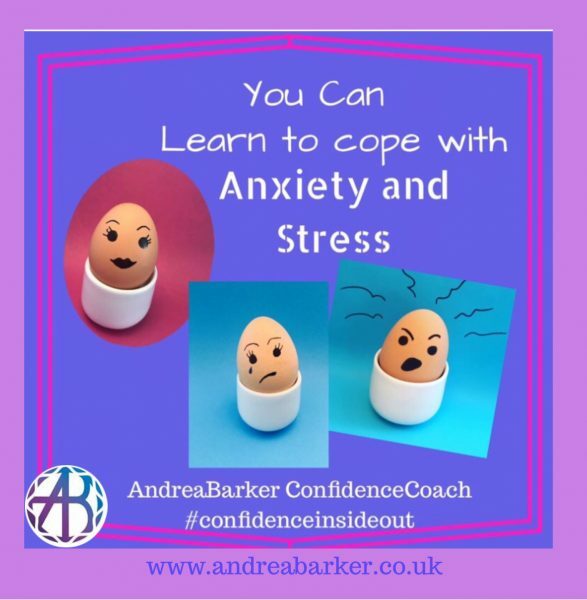 Stress and Anxiety can also have an impact on your Confidence levels. Many things can dent your confidence, and we are all the same in that respect, and may feel more confident in one situation and not another. Confidence therefore can fluctuate depending on circumstances and experiences. 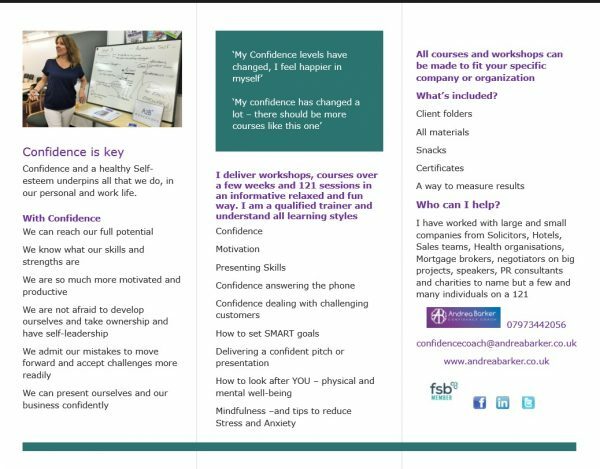 Confidence is an ‘intangible’ thing – a feeling, and different for us all, and is also linked to our skills and knowledge and how confident we feel in our ability to deliver what is needed, or to speak out and / or help ourselves or help others. 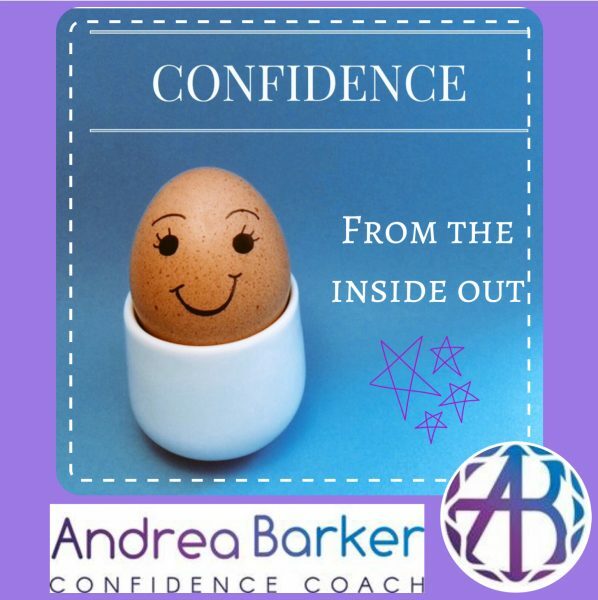 Where there are deeper confidence issues and low self-esteem (how you feel about yourself) can greatly impact many life decisions, maybe not going for what you want and ‘putting up’ with situations and people. Essentially, it is about your self-worth and feeling confident enough to stick up for You, or to go to an exercise class, or address weight issues, or to go on a date and crucially to say No to what you don’t want. I find that for many people I see, it has taken enormous courage to take the first step. Once you do, it is important to go at the pace that suits you. Most people fear change, because it is a ‘threat’ to us, an unknown! So small sustainable steps are best. One thing that can help- is to write down your achievements – start with little things like when you learnt to read and write, maybe you learnt to ride a bike, swim 100 meters… and then keep going! You’ll be amazed. Also Gratitude is so powerful and positive, think of all the things you are grateful for, small things and big things; like having running water, a lovely close friend, a park nearby, for pets, or things and people who make you smile – this is a great exercise to do daily – get a note book and write down 3 things that made you smile – and do it at the end of every day, this switches your mind to think of the positives – even if the day wasn’t the best day. Please do contact me if you would like to know more about what I do.